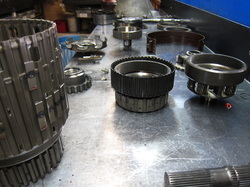 When a major transmission failure occurs it may mean the it needs to be overhauled. Rebuild, recondition and overhaul all mean the same thing. The transmission is pulled apart to the last nut and bolt and then washed and assessed. Parts are measured and closely examined. All electrical components are tested carefully, all bushes, bearings and seals are replaced as well as bands and clutch plates. Our expert team will rebuild your transmission carefully with one thing in mind, it should never need to be rebuilt again. The modifications we make and the quality parts we use ensure that if the transmission is maintained properly it will operate for hundreds of thousands of kilometres. Our transmission rebuilders have had 20+ years of experience in the industry EACH. That's a combined total of well over 60 years of rebuilding experience. This is just a simple, old 3 speed rear wheel drive transmission. 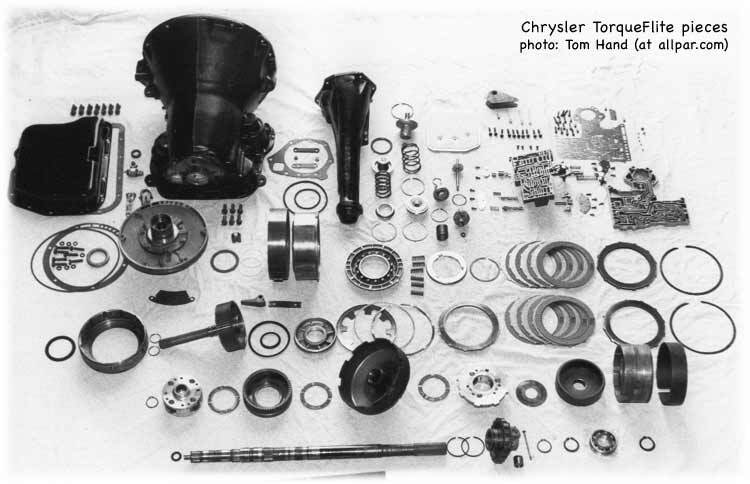 Modern 4, 5, and 6 speed transmissions are far more complicated with three times as many parts as well as computer controls and up to 8 solenoids, 2 or 3 pulse generators, temp sensors and switches. Transmission computers are now being placed inside the transmission. Hard to believe that such a harsh environment could accomodate a sensitive computer.